Arianna and Shyanne with their Bodacious Cases. The community Bo lives in has recently experienced a tragedy. For those of you in this area, you understand the impact the tragic loss of Hailey Owens has had on our community. Less than 30 minutes away from Bodacious Cases headquarters, a ten year old girl was kidnapped and murdered. The Bodacious Cases family sends our deepest sympathies to the family, friends and community mourning her death. On February 22, 2014 the city of Springfield and surrounding areas showed the world the true definition of community. Over 10,000 people came together at a candle-lighting ceremony in honor of Hailey. A community, became a family. Emily Wood from KY3 News based Springfield, MO shared a post on Facebook announcing a young mom attempting to help out the Owens family. Shyanne is a waitress and had an unusual connection with this case, a ten year old daughter named Haley. When she heard the news, she decided to selflessly donate all of her hard-earned tips for the day to Hailey’s fund. 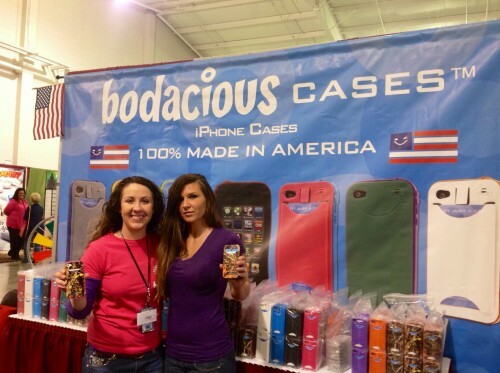 Thank you Shyanne, and welcome to the Bodacious Cases family, we’re proud to have another hero. Thank ya’ll for your support, we hope you have a Bodacious Day!